The New Yorker style helmet with a Garrity light held on by a rubber strap; that was all I wanted as a young junior firefighter. I cut out the Garrity light advertisement from Firehouse Magazine, and requested both the New Yorker and Garrity light for my next birthday. I wanted that helmet, the light, and everything that I viewed came with that advertisement. That image was as COOL to me, as the Malboro Man was to many. I so badly wanted to get out of my Metro and into a “Leather New Yorker” style helmet. I didn’t get a New Yorker the following birthday, but I did get a flashlight to mount on my helmet. I then ordered a full box of Garrity lights direct from Garrity; a full box of 50 lights. I then had my Dad get me a large black inner tube to cut up as helmet straps, and I started pushing helmet lights as a junior firefighter. Shortly after this, an upstate New York firefighter had relocated, and joined the next FD over from mine. I first met him on a call, and he was in full gear with a box light held on by a rope sling. I thought, he’s from New York, wears a leather helmet, and has a hand lantern held on with a rope sling, he must be an URBAN Firefighter. I immediately requested a new hand light from my Dad. He picked me up a nice rechargeable hand light, and I built a rope sling. I now had a Garrity helmet light, a hands free lantern, and had acquired a plastic version of the New Yorker. I was on my way to being just like an FDNY FIREFIGHTER. 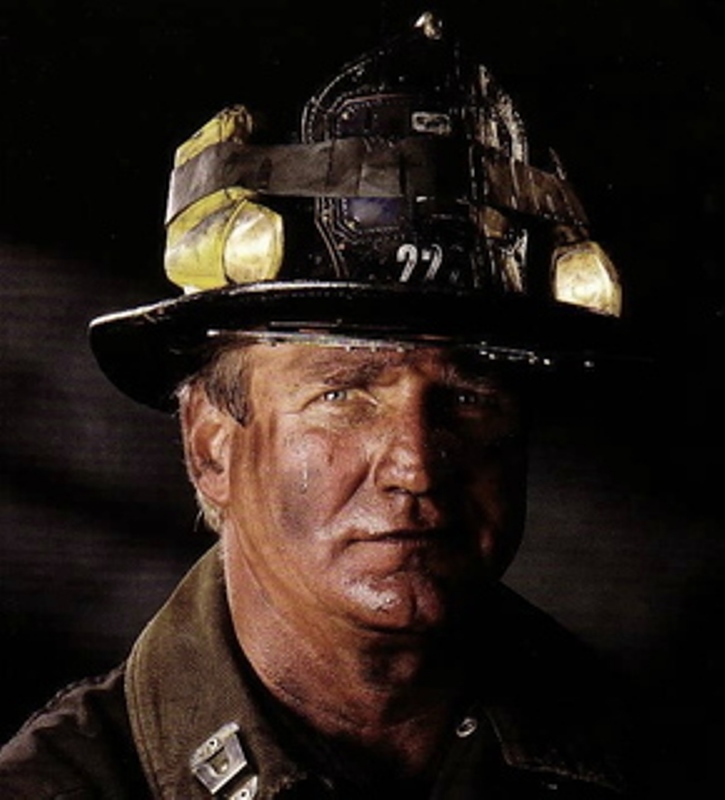 I believed in wearing full bunker gear on all calls, carrying a box light, and always having a tool in my hand. I was all about this and I had yet to see my 18th birthday. I just knew that New York firefighters wore their gear, had hands free lights, and always seemed to have a tool in their hand. I wanted to be an FDNY FIREFIGHTER. re-read Random Thoughts. I would read about carrying a rope, and then immediately drive up to ACE Hardware and purchase a personal rope. I would read about carrying wire cutters, a personal radio, having a good search light, a personal alert sounding device, and many other excellent tips before 1990. Tom Brennan, an URBAN Firefighter was teaching me, a young junior firefighter from a small SUBURBAN/RURAL community. I would then share what I had learned with others in the firehouse. It was at a very young age that reality set in, and I learned another valuable lesson. Not all firefighters share the same passion, enthusiasm, and love for the job as others. I also learned that many grown men have serious insecurities about this job and themselves. They would say, “This isn’t NEW YORK, and we are NOT the BIG CITY”. I just couldn’t understand why they wouldn’t want to read and learn from somebody that had been to so many FIRES. This would get me a little frustrated, but I continued to read Random Thoughts and implement everything I could. I started reading Chief Vincent Dunn’s articles and books, and then the book Firefighting Principles and Practices by William E. Clark made it into my hands. Chief Clark was appointed to the FDNY in 1937 and served for 20 years. He then moved on to Prince Georges County Fire Services to assist in the regionalization of fire protection. Chief Clark did not stop there, he then went on to become the Bureau Chief of the Florida State Fire College. There are so many leaders like Chief Clark, Chief Halligan, Chief Dunn, Chief Downey, Chief Norman, Lt. Andy Fredericks, and so many other FDNY Firefighters that have highly and positively impacted the American Fire Service. I sometimes wonder where we as a fire service would be without these great leaders and visionaries. The FDNY and other Large URBAN Fire Departments have made a huge impact on the SUBURBAN Fire Service. The experience they receive from a high volume of fire activity has given them the ability to fine tune techniques and tactics. If you do some research, you will see where these authors were from back in the late 80s and early 90s. I look back and realize that the URBAN Firefighter and the FDNY in general has made a huge impact on my career, and I have learned so much from their instruction and experiences. I try and deploy URBAN Tactics in the SUBURBAN/COUNTY setting. Yes, I said URBAN Tactics. When forcing the back of a stripmall, I use the Forcible Entry techniques taught to me by URBAN Firefighters Mike Lombardo and Bob Morris. When operating the nozzle, I use the nozzle position techniques taught to me by Tim Klett and Andy Fredericks. I could go on, but hopefully you see my point. I believe URBAN Tactics are many times necessary in the SUBURBAN/COUNTY setting. The fire does not care what your staffing is or is not. Stretching a line, forcing a door, venting a roof, searching a house, throwing ladders, and every other tactic or skill performed on the fire ground does not always require URBAN staffing. It seems that recently, many want to discard what the URBAN FIREFIGHTER has to offer us as SUBURBAN/COUNTY Firefighters. I couldn’t imagine operating at a JOB without the knowledge and training given to me by highly EXPERIENCED URBAN FIREFIGHTERS. I believe that ALL firefighters have something to offer, but we cannot discount an individual’s experiences on the fire ground. Tests, experiments, and training are great, but nothing replaces true combat experiences in the field under stressful circumstances. The URBAN Firefighter has been conducting ongoing tests through trial and error for decades….on the FIREGROUND. more than ever, requires the knowledge and precision of an URBAN LEGEND. Remember, much of what is taught by the fire service LEADERS of TODAY is derived from the LEGENDS of YESTERDAY. So why do all these “Random Thoughts” matter to the SUBURBAN firefighter today. It doesn’t matter whether you operate on the URBAN or SUBURBAN fireground, many of these tips and tactics can be applied equally. The helmet mounted light is always illuminating where your eyes are looking. It is hands free, and allows you to look up while pulling ceiling, and does not require you to hold your light vertically. If you don’t need it, just turn it off, but when you do need it, is always there, shining in the right direction. The radio sling carrying your radio makes simple sense, as it holds and protects your radio under your coat, and allows the lapel mic to be hands free. URBAN firefighters were doing this decades ago, yet the debate still rages on today. The lantern on the sling was a no brainer to me the first time I saw it, as it keeps your hands free to carry not one, but at least two tools. Why show up to go to work without having the proper tools in your hands? So many of these ideas I tried to share with others many years ago, but met serious resistance as a young, inexperienced URBAN wannabe. Many in today’s fire service jump at the latest trends and techniques endorsed by manufacturers without so much as a second thought. Yet, try to replace the hooligan tool with its nearly useless straight adz, and a fork more fit for a door chock than forcing a door, with a Pro-Bar halligan, and the arguments commence. “You only want that because they that’s what they use in FDNY”. The IFSTA manual told us that when we encountered a steel door in a steel frame, we should find an alternative entry point. It’s a good thing that as a SUBURBAN firefighter, I went to a forcible entry class taught by an URBAN firefighter, and learned that with the proper tools and techniques, entry was achievable. Another tool, the NY roof hook provides more uses on todays fireground than the traditional fiberglass pike pole that is specified as standard equipment on many of today’s apparatus. The 8 lb flat head axe will outperform the 6 lb axe day and night, and as we know is quite versatile. Carrying a personal rope is worth more than its weight in gold. Carrying the “can” (2.5 gallon water extinguisher) can be extremely helpful in trained hands, as SUBURBAN staffed companies work to stretch an attack line. Converted channel locks and a multi tip screwdriver in your pocket are other great tools, again many ideas brought to us by our URBAN fire service brothers. Give ANY trained and motivated firefighter a six foot NY roof hook, a pro-bar halligan, the “can”, and watch out. So from the URBAN to the SUBURBAN fireground, always remember it is the QUALITY not the QUANTITY that matters on your FIREGROUND. The question came up via Twitter regarding a class on officer development, should the officer be called a leader instead? I did not take this class so I am blind as to its content. The dilemma for most is; isn’t the officer a leader already? Yes the officer is the crew leader, however how much Leadership they provide will vary. I will keep my remarks to Fireground Leadership because it is the most compelling and important component of any Officers role. There are both officers and there are leaders of companies, some are both and some are only officers. If you are fortunate you have a leader, if you are not then you have just an officer. Many officers either have not developed the leader within or have become so trained to only receive orders and direction that they lack initiative. Leadership on the fireground requires initiative even within highly developed tactical fire departments that use SOPs or SOGs. In departments that lack foundational battle plans officers typically operate under the whim of chief officers often falling back into an awaiting direction mode. Leadership on the fireground is what the promotion is all about. Cultivating that role is difficult under any system and either system will have many officers. The big turn around towards effective fireground leadership is knowledge and implantation. You must have knowledge of the fireground to make variations on plans, to accept orders and be mindful of how best to carry them out. Your knowledge is gained by reading, studying, and fireground experience. Your implantation of task is also based upon study, reading and experience and your awareness as to what is taking place. You must understand the ” tempo” of the fireground, sometimes it’s easy to follow and other times it’s racing and compromised when you can handle that all by yourself then you have achieved leadership. Effective fireground leadership is the hallmark of good fire officer. It takes time to develop just as other leadership qualities. If you do not have it together on the fireground risk goes up because you are not a critical thinker. There is no ceremony that tags you as an effective leader on the fireground it comes from going to fires and making decisions. Maybe that’s why it’s called an officers class. Man Hunt is a version of hide and seek. Remember as kids playing hide and seek? Everyone went and hid, while one kid sounded off to ten, twenty, or whatever count was determined. After so many games or turns, eventually someone would count out loud and then just quit without warning. They would not search, or advise that they would not be holding up their end of the bargain. You would now have numerous players hiding and waiting to be found. But, no one would be searching. Man Hunt is played in different ways/versions. One version my kids choose to play is at night and with a flashlight. Why a flashlight; so they can see in the dark. My kids even request to use my TIC. Of course it’s always a no, because a TIC is no TOY, it’s a LIFE SAVING TOOL. A tool to be used outside and inside a burning structure. A tool to determine survivable space within a given structure and determine where we stretch the first, second, and third lines too. A tool to determine if we need to flow water before entry or if it’s ok to vent more before water application and a TOOL that SAVES LIVES when taken inside and used like a set of binoculars sizing up the beach. I can see so much more at the beach when standing still and looking left and right down the shoreline, sometimes my eyes venture out toward the Gulf. You should use the TIC to observe from a stationary position and get a mental picture of the land. A TIC should not be an optional tool when performing a SEARCH or ATTACK at a structural fire. Can you imagine the advantage a child searching would have using a TIC, when playing Manhunt in the woods? The other participants wouldn’t have a chance. Their BODY HEAT “Not the Movie” would be seen every time. So why would a trained firefighter not want to utilize a TIC each time they search a building that’s on FIRE? Why would they not start at each room and like sizing up the beach, look over the entire room from a stationary position? Hide and Seek, Manhunt, and tag may be a game; but a PRIMARY SEARCH at a FIRE is no game. Lives depend on you doing your JOB! Regardless of what version of Man Hunt my kids play, I expect them to search after counting and when they decide their not up for searching anymore; make it known by all that they’re quitting. So, if you and your FD are choosing to stand outside and assume nobody’s inside and if there was somebody inside that you think they’re already dead. Make a Public announcement, that CITIZENS are a part of an incomplete game of HIDE AND SEEK. Regardless of Fuel Packages, UL Test, Wind, and whatever else we may take into consideration on today’s fire ground; Oxygen still remains the same. That’s where understanding the door and window of opportunity come in. They control the oxygen and can limit your stream reach. 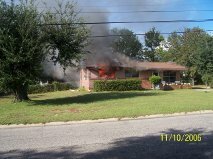 We understand when the windows hold; the fire will consume the oxygen and become O2 controlled. When the door to an interior room is closed it’s creating a bearer and this could be assisting in the survivability of trapped victims. So your stream might be extinguishing the fire and cooling that room, but will not assist the victim on the other side of that closed door. Regardless from where you apply water, we need to get inside for the civilians sake. We need to stop interior fire spread, minimize property damage, and look for trapped civilians. Remembering that every door that you find closed could lead to a room of highly survivable conditions. A Window normally gives access to that room, where as the front door gives access to the house. 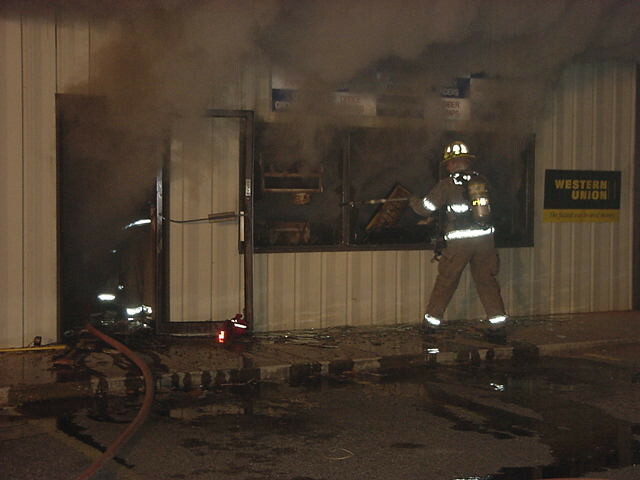 The front door also gives us a better evaluation of smoke intensity and oxygen supply. I like the door knob as a point of reference. If the smoke is below the door knob and pushing under extreme pressure, you may need to apply water while advancing. You may need to vent opposite the attack line, while still flowing. This would be cooling the fire gases and venting them in a coordinated effort. The FRONT DOOR is where you can utilize the DOOR KNOB and the coupling on your hose. Yes, the coupling can assist the Chief or Driver outside of how deep the crew has advanced and whether they’re getting close to the seat of the fire. It can determine if they’re beyond the point of no return. Utilizing the photo below; imagine the first coupling at the door threshold and fire still blowing out the FRONT A/B windows. This would tell us they have 50 feet of hose inside and have maybe missed the turn down the hallway. They could be headed towards the rear add-on. This would be the time for the EYES in the FRONT YARD to communicate with the ATTACK CREW. If a second/Back-up line is at the FRONT DOOR; have it advance in as a backup or it can become the ATTACK LINE. We go through doors all our life and use the term door of opportunity in more than one way. In the Fire Service, I view the front door, as the door of opportunity. I view it as the most simplistic way to control all areas of a residence. The FRONT DOOR is more times than not, the way our kids go and come when getting on and off the school bus. It’s where a large number of people hang their coats in the winter and usually has the least number of obstructions. It’s the door that is usually in close proximity to the stairs of a multi-story residence. The FRONT DOOR has proven for decades to be a great choice for our FIRST LINE ENTRY, most of the time. In a smaller ranch style house, with a bedroom to the left or right of the FRONT DOOR, we know the hallway leading to the other rooms is within 12 or so feet of the FRONT DOOR. The FRONT DOOR is usually 30 or 32” wide and is usually pretty easy to force by the first arriving companies. This is a point of entry that the driver can usually view from the apparatus during the first few minutes and monitor smoke conditions for the ATTACK CREW. 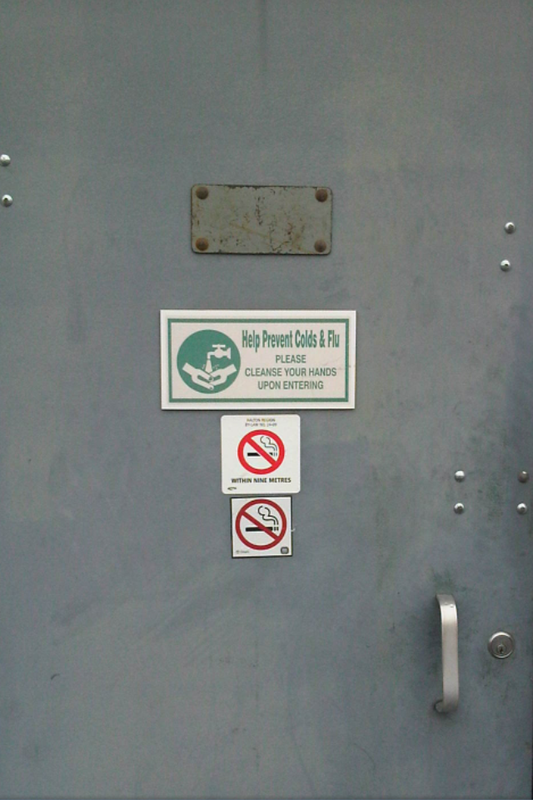 The FRONT DOOR allows smoke to escape and oxygen in. Yes, OXYGEN feeds the FIRE, but only if you allow the FIRE to SURVIVE. If your ATTACK LINE is ready and I mean READY; stretched, charged, FLOW PRESSURE achieved and enough hose properly flaked for total house coverage. Then once you open the FRONT DOOR and move in with a loaded GUN, you should not have an issue controlling the FIRE as you advance. The issue is when you’re not ready and you open the FRONT DOOR. The FRONT DOOR now allows the super-heated gases to fall within ignition range, while allowing oxygen in at the lower level. The FRONT DOOR or any door at a residential structure fire can be your DOOR of OPPORTUNITY; it is how you prepare to maximize what it has to offer. Experience has shown for decades and even in recent years that taking your first ATTACK LINE through a doorway has been highly successful when the ATTACK CREW has properly prepared and is ready for ATTACK. The problem is when the ATTACK crew is not READY!! When they have poorly stretched and have not confirmed an adequate Attack Stream. It is compounded when they open the DOOR of OPPORTUNITY and have not fully prepared to make an INTERIOR ATTACK. The BIGGEST problem is when they break the threshold and do not evaluate BLACK FIRE over their heads. They don’t understand when to cool the FIRE GASES/SMOKE or they do that penciling thing that is taught in a FLASHOVER can. If it is HOT, FLOW WATER!!! You can DRY STUFF OUT, but YOU CANT UNBURN IT…. Read the LODDS and they point out just about everything but the problem. It’s SIMPLE, have an ATTACK LINE that you’re capable of ADVANCING while FLOWING. SEAL TEAM SIX didn’t carry a 50 Caliber into Osama Bin Laden’s hideaway. They took FIRE POWER they could carry and move in, without delay. I FULLY support the UL TEST. Their test just confirmed what a large number of Fire Service Leaders already believed from experience. The problem now lies with so many departments taking it out of context and applying water from the exterior at all fires. The problem is the Fire Service discounting the Door of Opportunity and its years of proven success. I am all about knocking down a large body of fire for rapid entry. I was recently teaching at a conference and posted the picture below. The majority of students stated their first water application would be through the window. When questioned as to why; it was stated because of the UL TEST RESULTS. You can’t get much more basic than a one story ranch on a slab, with fire already venting on the A/B corner. The FLOW PATH is out the WINDOW “Window of Opportunity” and when the FRONT DOOR OPENS, it will be a positive intake for ATTACK CREW that has prepared for this moment. I was first on-scene at this fire and this was a fire that was now out in the hallway and needed a line INSIDE to stop fire spread and allow for a SEARCH of the reported women trapped. Why at a fire like this, would you apply first water through the window? This is a straight ten feet in and turn; open the nozzle, shut it down, move 12 feet down the hallway and extinguish fire in seconds. Now the ATTACK CREW can start a rapid SEARCH from here back. The DOOR FIREFIGHTER can give a bow of hose and move in for the SEARCH. If you’re LUCKY and a second company has arrived, they can stretch a second line and assist in the SEARCH operation. If the Interior crew cannot make the push down the hallway, then maybe apply water through that same window from an exterior position to assist the Interior crew. But, to just start looking at all fires as defensive first, is throwing out decades of success with the bath water. IF your entry is delayed or it is more fire than your attack line and crew can handle; then maybe give it a DASH. But even Steve Kerber states; “It’s coming back and you need to get in there”. The problem is not with UL, it is FDs taking the info out of context and jumping overboard. I wish the Fire Service was this quick to change from Automatic Fog nozzles and the FOG ATTACK? Hell it has been a fight for the last 20 years to convince FDs they needed to FLOW more water and apply it in a Straight or Solid Stream. UL does a few burns and, you know the rest of the story. Where would you take the first line? Would you apply first water from inside or outside? Please Study the UL TEST completely. Take the Online Class and then mix it with your Experience and what has been working. Doors and Windows give us numerous Opportunities. It’s what you do with these opportunities that will determine your success. Don’t Forget to Sign Up and FOLLOW COUNTY FIRE TACTICS. Its easy, just click on Follow here on Homepage and give Email. You will get notified of each new post. C – Confine – Confinement of the fire. E – Extinguish – Extinguishment of the fire. R – Rescue – Rescue of those effected by the fire and smoke. S – Search – Search of the fire area and adjoining spaces. V – Ventilation – Ventilation coordinated from within and as needed. O – Overhaul – Overhaul of the fire area for hidden extension. D I C E R S lays out the fireground with task components that are directed at operations within the interior of the fire building based on best practices and recent fire research findings from UL and NIST. They are the principle practices used by the fire service to stabilize a fire scene and save lives. The tactical and strategic components of D I C E R S should be accomplished in an order that allows for the greatest success of the remaining parts. The six primary action components, Detect, Isolate, Confine, Extinguish, Rescue and Search are implemented in conjunction with a fundamental understanding of the importance of an ongoing scene size up to accomplish our strategic goals. Your actions based upon the fires extent and location within the structure, utilizing ventilation disicipline and entry air management all impact our ability to obtain complete extinguishment and save lives. The first step on any fire scene is to detect the locate the fire. Hoselines can not be placed correctly if we haven’t located the fire. Once that is accomplished using verbal and visual informational cues we can move on to the next step. To isolate the fire area is to define it and set it apart from other areas not involved in fire. This comes from the ongoing and multiple perspective size up. Where is the fire and where will it extend. This is where our resources need to be placed. Confinement of a fire may take place utilizing objects within the fire area such as doors or tools such as curtains. The confinement of a fire allows for additional actions to take place along with limiting air flows to the fire. Water can also be utilized to confine the fire, the spread of fire and reduce high heat levels. Extinguishment on the inside of the fire area is typically obtained using handlines. High flow rates are critical so that stream reach and penetration are maximized as well as cooling any area with extreme temperatures. Interior hoseline extinguishment techniques must be understood along with proper hoseline management, coordinated ventilation and air control techniques. Complete interior fire extinguishment allows for the establishment of additional operational staging areas for expanded search and rescue operations and provides rapid event stabilization. 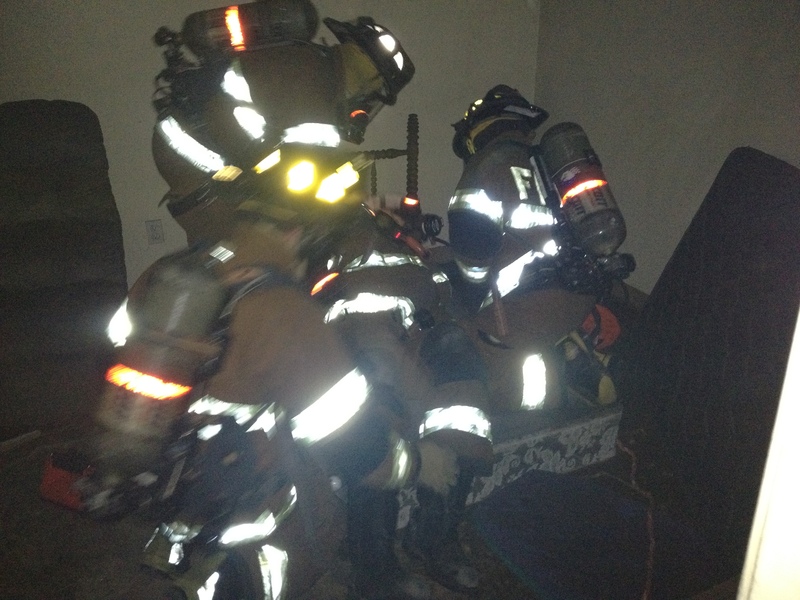 Rescue is a function of firefighting that can often place firefighters in positions without direct hoseline protection. Under those types of conditions firefighters must plan their entry and exit as they move about. Rescuers and searching firefighters must be cognizant of methods that can assist them with completing that mission such as isolation, along with entry air control. These practices provides additional safeguards for rescue in the form of shielding and additional time. Search is conducted utilizing both primary and secondary postures. These search benchmarks may or may not be attainable at all fires as quickly as we would like however search is a core fireground function and must be carried out when structural stability allows. The primary search is often done concurrent with extinguishment or just after and may at times be delayed. Secondary search is preformed post fire extinguishment so only building stability or some other encompassing hazard would interfere with completion of the secondary search. Ventilation of the fire area must be coordinated with extinguishment and or rescue and search, it must be communicated with interior teams. Ventilation may be horizontal or vertical or a combination of both. Improper ventilation however can cause unwanted fire growth, anti ventilation may also be utilized initially, until knockdown, or during windy conditions. Overhaul must be preformed at all fires. Open up along side, above, or below any fire you believe may have extended. We must be through when we overhaul, while minimizing unnecessary damage. Good overhaul allows the fire department to leave the scene stabilized and confident that the fire is out. D I C E R S completes the fireground mission as it relates to searching for victims, rescuing fire victim and those trapped, and complete extinguishment of the fire within the structure. 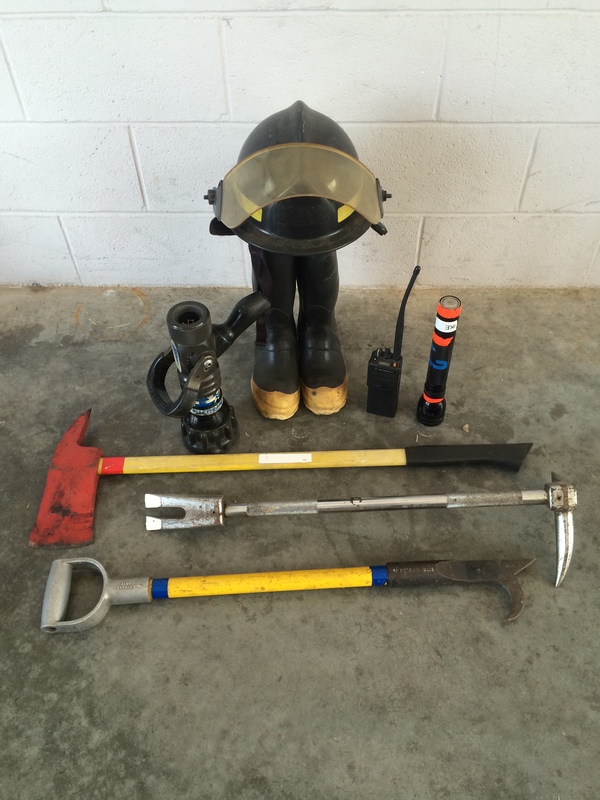 Not all fires will be fought the same way however these components are the foundational concepts of firefighting operations inside a structure. Utilizing both sound firefighting tactics and scientific findings for complete extinguishment. The following is taken from the IFSFI – International Society of Fire Service Instructors web site. 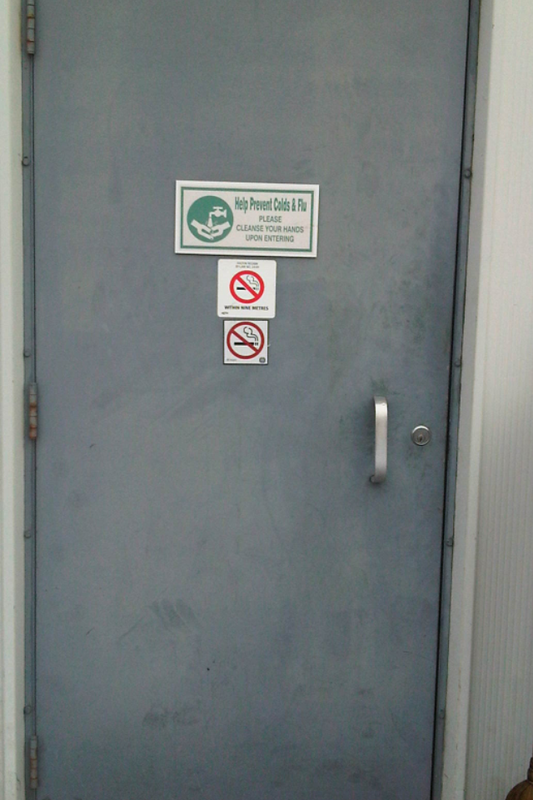 Door Control – The process of ensuring the entrance door providing access to the fire area is controlled and closed as much as possible after teams enter the structure. 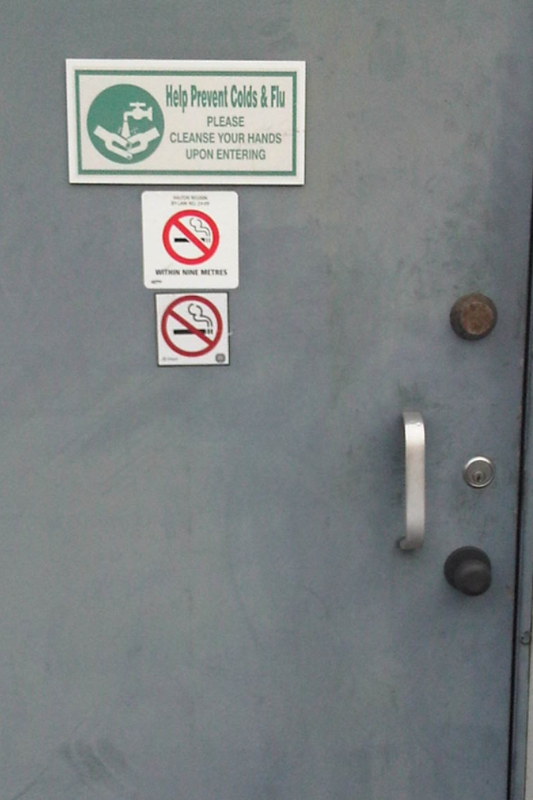 Steps must be taken to prevent the door from locking behind the entering members. By controlling the door, we are controlling the flow path of fire conditions from the high pressure of the fire area towards the low pressure area on the other side of the door. 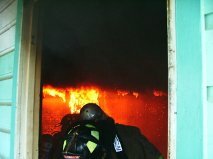 Door control also limits fire development by controlling the flow path of fresh air at the lower level of the open door towards the seat of the fire. Radio Traffic Blaring, Smoke Detectors Alerting, Bells Ringing and being forced to THINK under Pressure… STRESS!!!!!! Stress inoculation is extremely important to quality training. There are steps to reaching the point where outside stress is added to the evolution, though. Stress inoculation prevents the proper uptake of information if someone is learning or training at a beginner or less advanced level. Mastery of basics and advanced tactics and skills must be ensured prior to adding additional stressors to a scenario. For instance, you wouldn’t teach someone to drive by putting them behind the wheel of a stock car at the Daytona 500. Stress inoculation is about making a scenario as real as possible within reasonable safety limitations. I say reasonable because we cannot safety ourselves out of training. We do a terribly unsafe job, and only through education and life like, realistic training can we make it safer. It just so happens that when we train, we get better. And getting better makes us safer. So for stress inoculation to be effective, you have to make the scenario realistic. Our performance under stress is similar to the way an old card-style Rolodex works. We get hit with a stressful situation, and our brains start flipping through the memories until they hit one that seems similar to the situation at hand. The more of those we have, the better the odds are that we make the right call. If the brain doesn’t have a previous record of the situation, it can sometimes keep flipping for quite a while, making decisions at a slower pace than the situation requires, or just making a call at random just to make a call and stop flipping. Stress inoculation also helps with off-the wall situations for which no Rolodex card could ever be made in training. Our brains are adaptive. Even if we don’t have a perfect situational example to reference, if our brains are used to making GOOD pressured decisions, they start to make stress itself into a memory. We begin to make better decisions under pressure. What I have seen NOT work is trying to train proper decision making and tactics without the proper input necessary to really formulate a correct strategy or to correctly apply good tactics. You CAN train stress inoculation in this manner, but be very careful that you don’t confuse decision making under pressure with GOOD decision making under pressure. -Don’t expect students to imagine anything that they would normally be able to see on scene. We are primarily influenced by what we see when making fireground decisions. Telling a student to imagine a downed power line, a victim, or any number of infinite possible problems is not going to teach them to look for those problems on scene. It only teaches them to go through the motions, and that someone will verbalize all the important stuff. -Don’t make students practice critical skills out of context. Give them a reason to CHOOSE to use that skill in the scenario. -Make scenarios challenging, but not unrealistic. Even if a problem is able to be overcome, if it is not reasonably possible to encounter such an issue on the fireground, it serves no purpose. Again, this goes back to context. When the Rolodex starts flipping, having a contextual reference makes finding the answer much easier for the brain. -Stress should be individualized as necessary. Not always possible, but even at the same skill level, students are at different stress handling capabilities. Some beginners to a new skill or tactic are extremely good already at handling outside stress. As they master new things, they can handle more stress, and need more stress applied in training to see improvement in their ability to cope with challenges. Growing up I played lacrosse, not the typical hockey that most Canadian kids played. I was fortunate enough to play at a very high level and had the privilege of playing for some great coaches. They taught me not only about the game of lacrosse but great lessons about life that I carried over into the fire service. I had one coach that always said “you can’t learn this game in a book; you have to get out on the floor and play the game”. I could not agree more, to truly learn this job aggressive and realistic training along with experience is required. That being said my coach would also say “you want to be great at this game, be a student of the game”, I would see my Coach constantly looking at plays, statistics, equipment, etc. and he was a true student of the game and one of the best players ever to play box lacrosse. The point is that you need the knowledge and the understanding of what you’re doing to go along with your hands on training. We would practice some days until we would literally be throwing up on the floor, we would also spend some days in the class room in front of the chalk board going over plays. This was just as important to the development as us as lacrosse players and a team as going out and throwing the ball around the floor. We are going to look at a quick drill that you can do at your firehouse, this type of drill we call “chalk talk”. Chalk talk drills are those types of drills that are great for rainy days, these types of drills are good because they often get great discussions going and it allows some of the senior members in the company to pass along their experiences and knowledge to the younger guys. Some of the best training that I have ever done has been sitting at the kitchen table, around the tailboard of the rig, or sitting in front of a white board talking shop with a warm cup of coffee and the company of some great firemen. Not all training has to be blood, sweat, and tears, here is a good “rainy day” forcible entry drill that you can do with your crew. After I narrowed down the most common type locks that I wanted to simulate I made a trip to a local machining shop and had them mill out exact likenesses of a key in the knob lock and a couple of tubular deadbolts, because of the weight associated with making these locks out of metal PVC was used instead. On the backside of the locks a counter sunk hole was drilled and then a heavy duty magnet was secured into place using epoxy. To make the cylinder guards, 10 gauge metal plates were cut to the size of a standard cylinder guard. 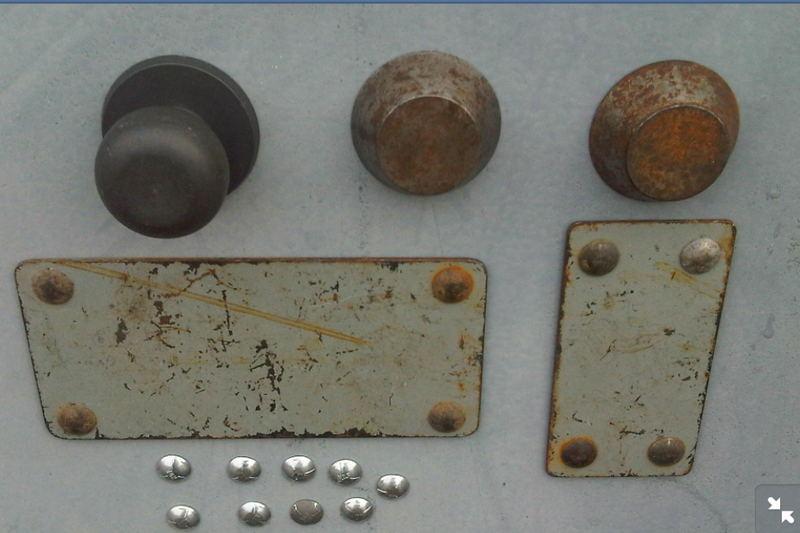 After the cylinder guards were cut ¼ inch carriage bolt heads were welded on the corners and then magnetic stripping was added to the backside of the guards. 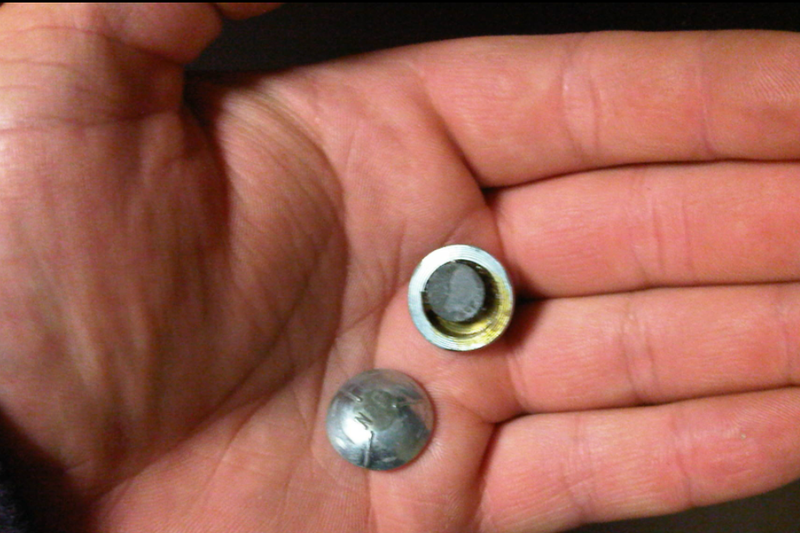 Finally, ¼ inch carriage bolts were taken and the threaded rod was cut off the back leaving just the heads, a hole was counter sunk into the back of the carriage bolt head and a magnate was held in place with epoxy. Having these magnet props allows you to gather the crew around any metal door in the firehouse and set up any forcible entry scenario your imagination can dream up. These drills at my firehouse have been invaluable; the guys at the station love it and get very engaged in the discussion about tactics and forcible entry size up. 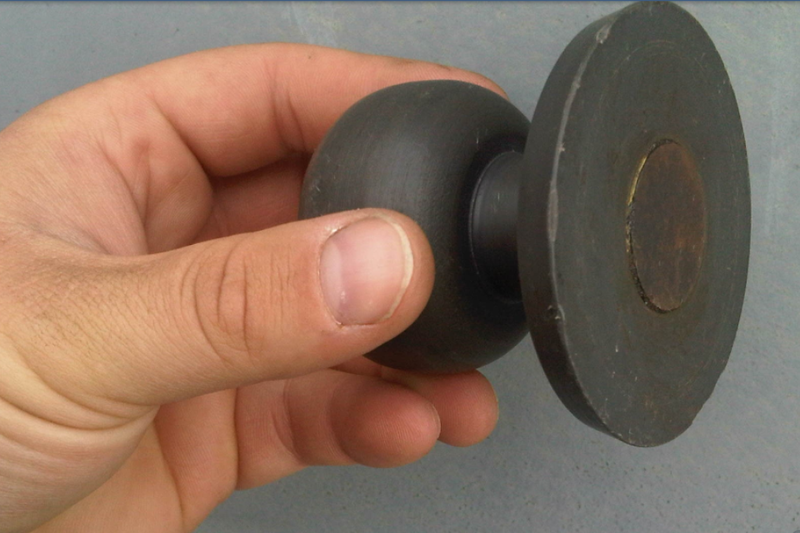 The total cost of the magnet props was around $200, but if you are fairly handy or know someone who can use a machining lathe you could probably get them made for a lot less money. 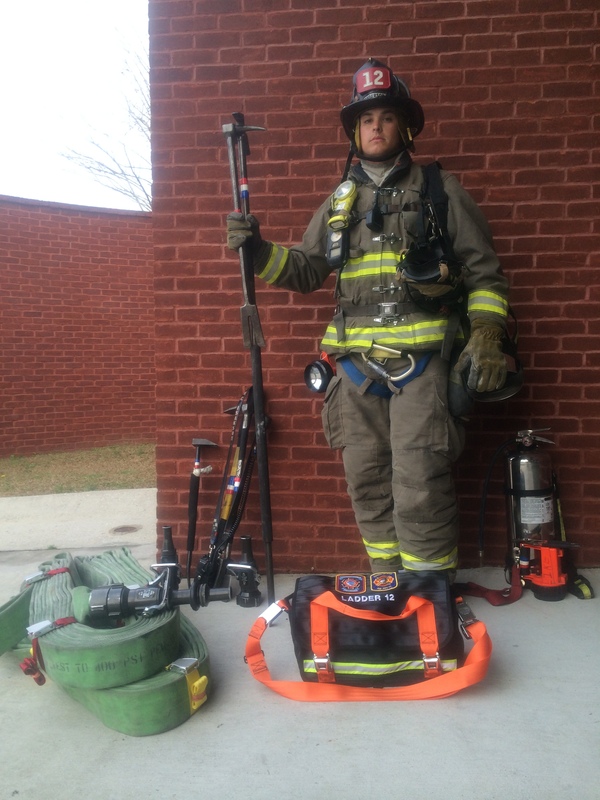 This will be the first article in a series of articles that will give you great training ideas that you can do at your firehouse. If you want to train, you can train.